Ready for a Great Getaway? Look no further! 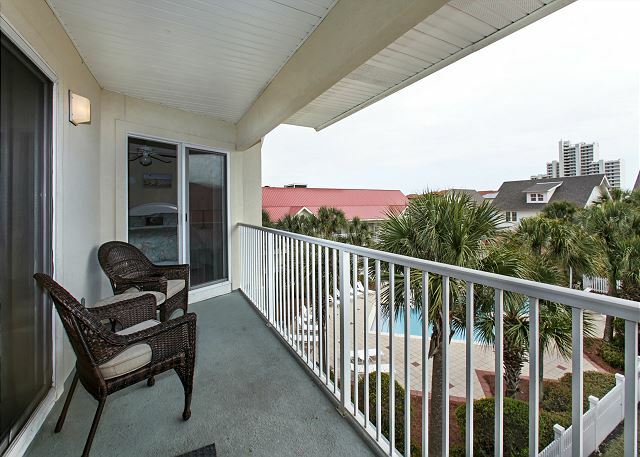 This unit is beautifully furnished and ready for you to spend a week on the beautiful beach in Seagrove/Seaside. 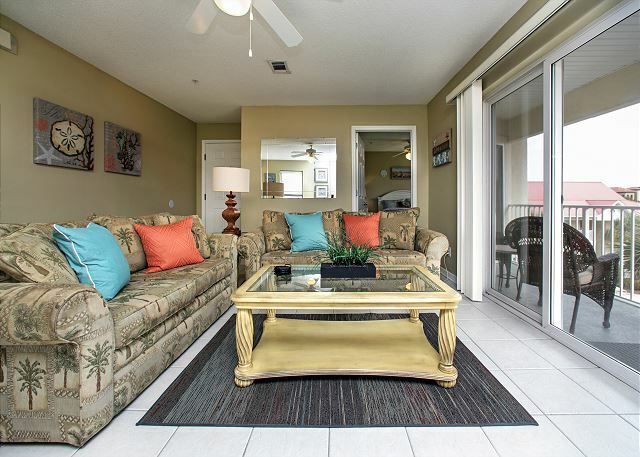 This condo has a beautiful view of the shared pool and sculptured landscaping as well as a View of the Gulf of Mexico in the distance. 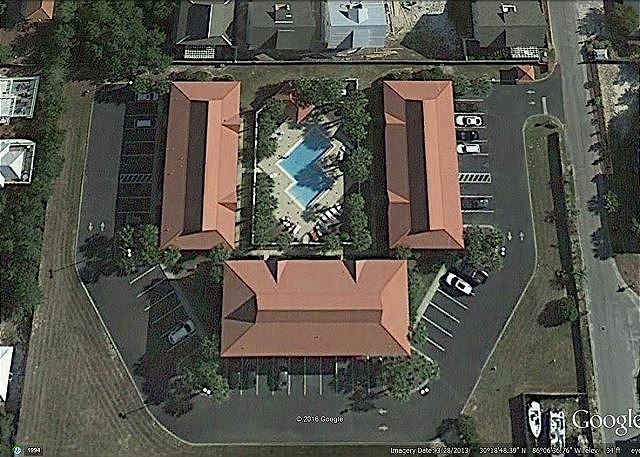 The pool in this complex is one of the largest in the Seagrove area (see picture below). 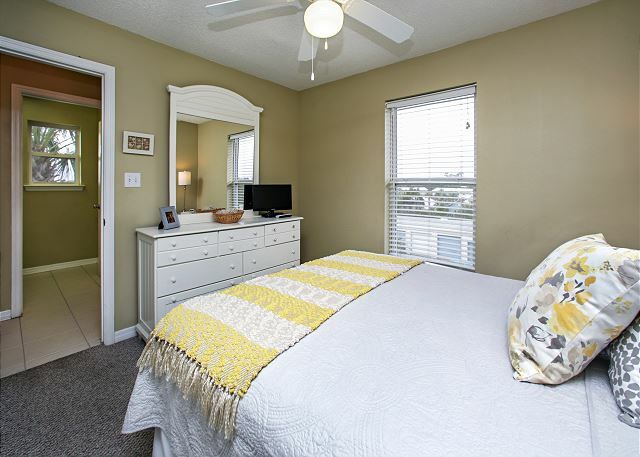 Within a 1 block walk, you'll find a fresh seafood market, a favorite local Italian restaurant,a coffee house with internet access, and a convenience store. We are just a very short walk to the beach. 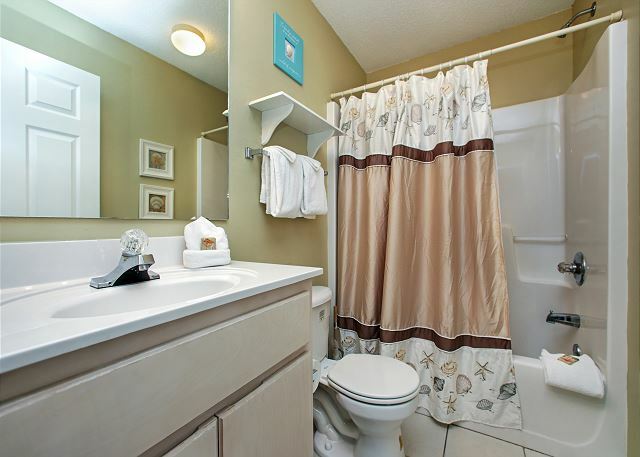 (1 block or a 3-5 minute walk) with 4 different accesses, 2 of which offer parking and bathroom facilities. 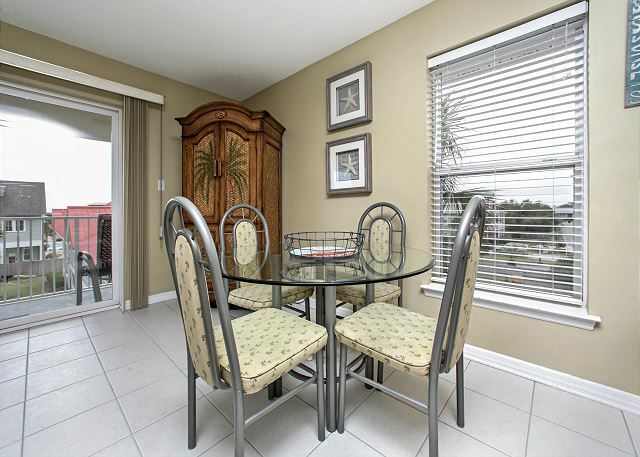 We have used upgraded furnishings throughout this beautifully decorated condo and have created a very user friendly floor plan that provides both comfort and privacy for all guests. 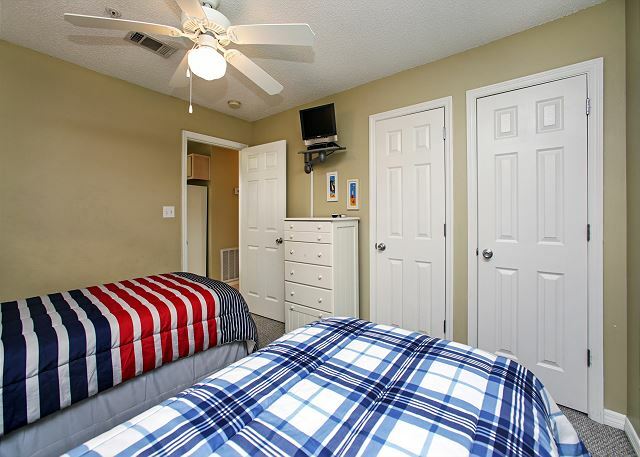 The living room and full kitchen are well appointed and include a TV, VCR, CD and DVD player as well as a library of videos and novels for your relaxation and enjoyment. 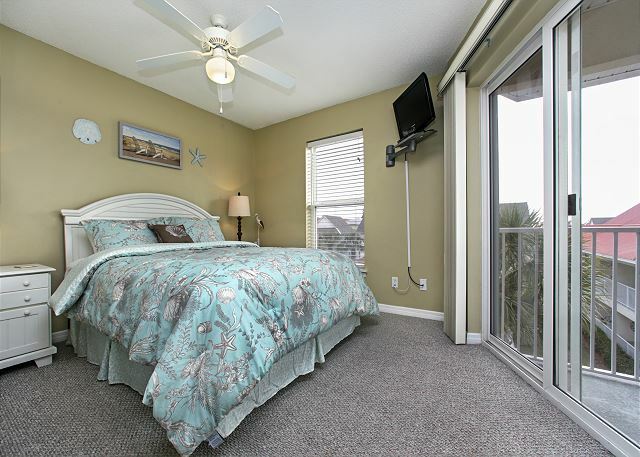 The master bedroom suite is furnished with a flat screen TV, sliding doors to the balcony overlooking the pool, a private bathroom including a tub & shower. 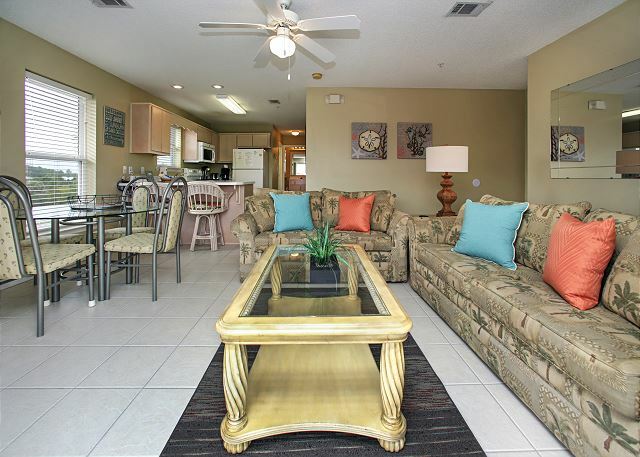 Each of the other two bedroom suites are furnished with a flat screen TV. 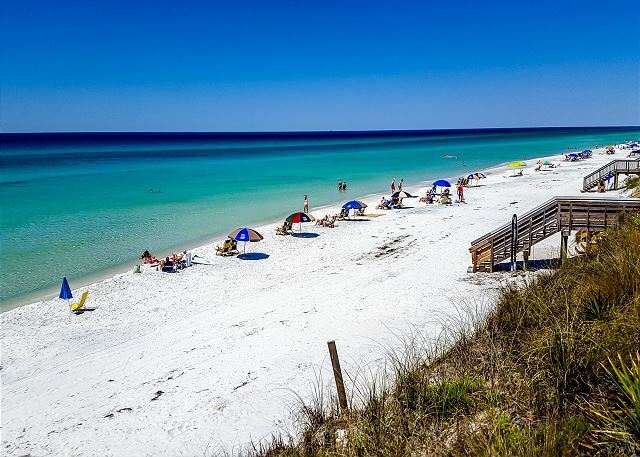 Seagrove Beach is a great vacation spot for everyone - adults and kids! The beach is gorgeous (access is just a short walk.) 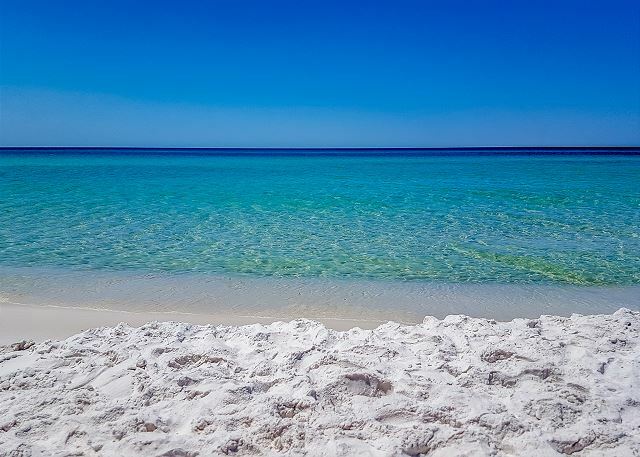 Aside from walking on the beach or playing in the pool, Seagrove offers lots of activities including biking, kayaking, shopping, and wonderful local restaurants. 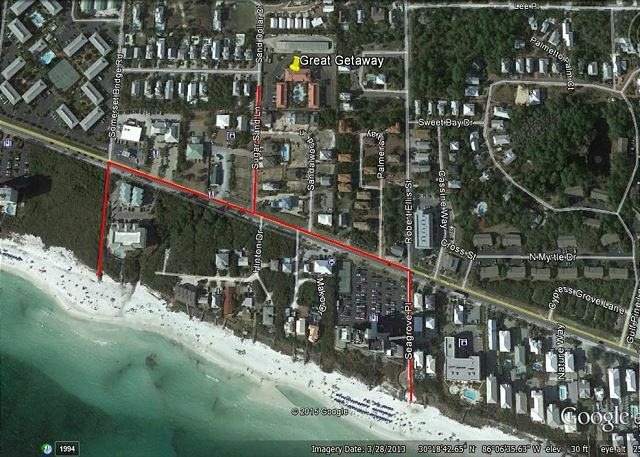 The bike path along Scenic Hwy 30A runs directly in front of the building, and Seaside is only one and one-half miles away. Great stay. Our third winter there. Great location. Large unit close to many restaurants. Pool was heated on our first few days, which was wonderful. Had problems with the lock on the first day and Benchmark sent help immediately. Thank you for submitting your review! We would appreciate more feedback regarding the score you gave for cleanliness as this is not a complaint that we generally receive and we did not receive any complaints from you that I can recall! So glad you did enjoy your stay - this is a great complex! 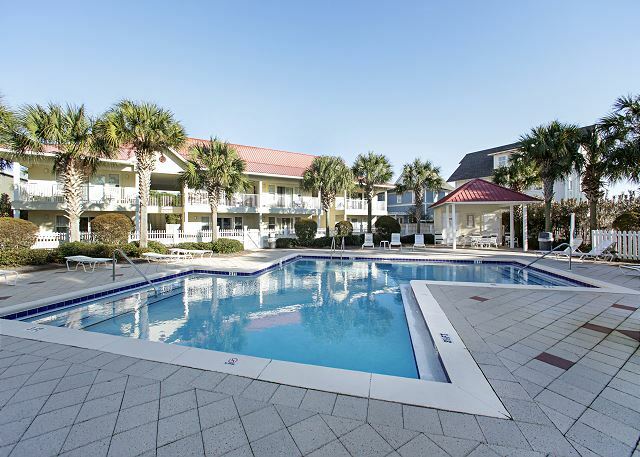 Very centrally located with a fun pool and a very close walk to the beach - it's all right here for you to come and enjoy! 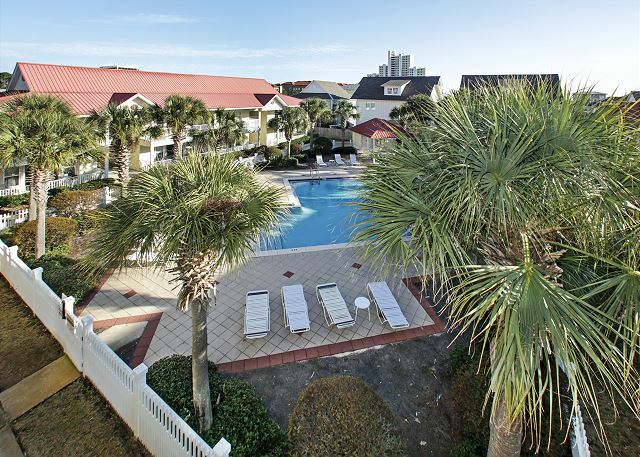 Looking for an affordable and relaxing beach vacation? Look no more - The Great Getaway is waiting for you! Call Benchmark today with any questions and we can help arrange your great getaway! 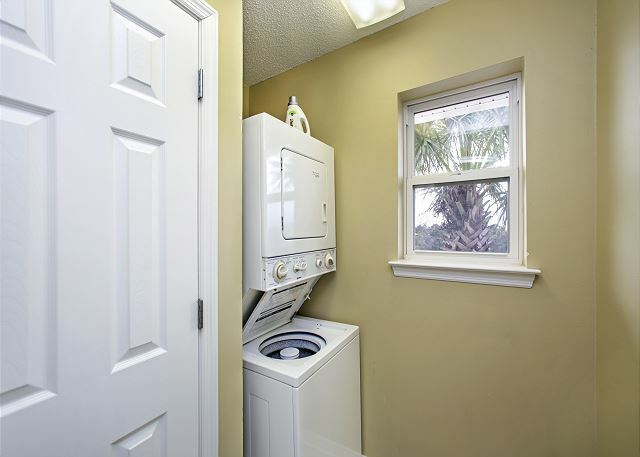 Spacious condo that allows pets. Close walk to beach. Good response time from Benchmark when we had questions. Excellent weather! 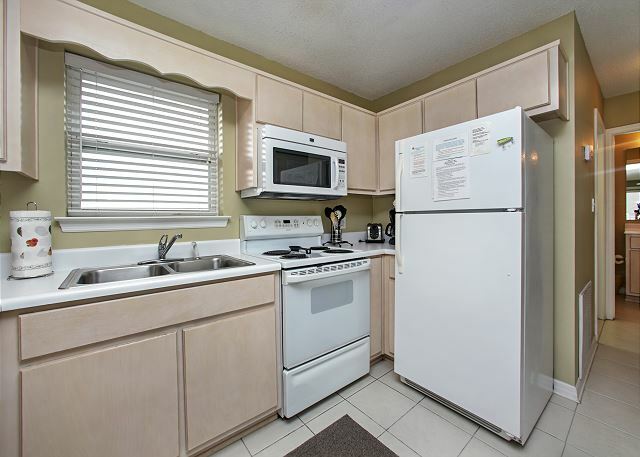 Clean Condo! Responsive Management People! The condition and physical location of the condo was Good. The pool area was well kept and had plenty of pool furniture...we visited at different times each day. I would suggest that the Non-Stick cookware and those pots with side handle problems be replaced. The queen master bedroom mattress should be addressed as the mattress slopes to one the twin bed room, 1 of the mattresses is so soft that one "sinks" into the middle of the mattress. Would I stay here again and do I recommend this property? YES...addressing the stated items would improve the rating from Very Good to GREAT. See You Next Year. Thank you for taking the time to submit your review - we do appreciate your comments and suggestions! This unit has recently gone under new ownership so we will certainly be addressing the issues you have mentioned with the new owners. We do want to be responsive and do everything in our control to ensure that everyone that stays with Benchmark has a 5 star experience! As mentioned - the location of this unit is perfect! 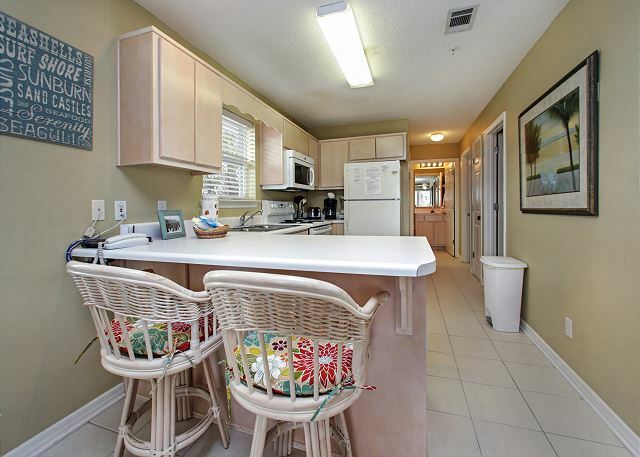 Close to the pool, close to a restaurants and just a quick easy walk to the beach! Everything you need to enjoy and fun and relaxing beach vacation! Call Benchmark today and we will help you get your vacation reserved!! Absolutely everything the description said and the pictures showed. Great location. Close to Seaside and The Hub. The Beach was very close and easily accessible. The cleaning crew could have done a little better before we arrived. However, that was a small thing. We appreciate your review! We will be speaking to the cleaning crew as we want to ensure that you are able to give a 5 star review in all aspects of your stay. We continually strive for excellence and your comments and suggestions help us in that journey! 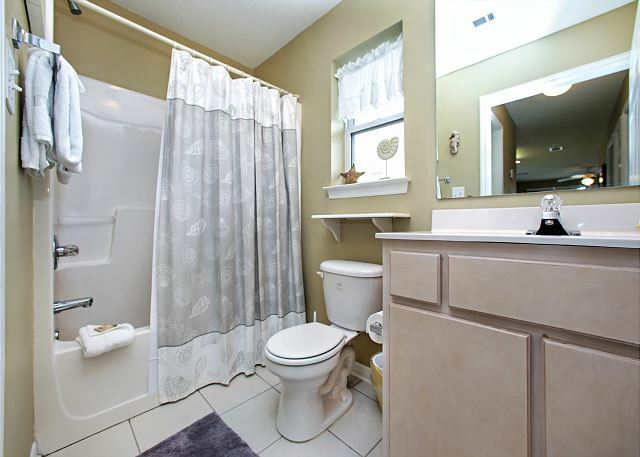 This truly is a great condo unit! 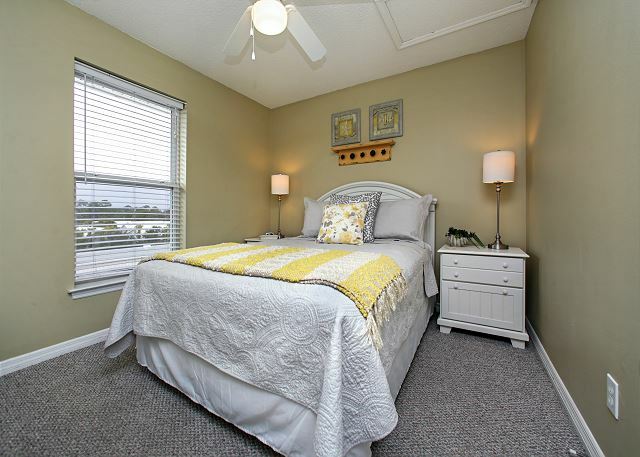 Close to the beach, close to the pool and close to all the great locations along 30A. 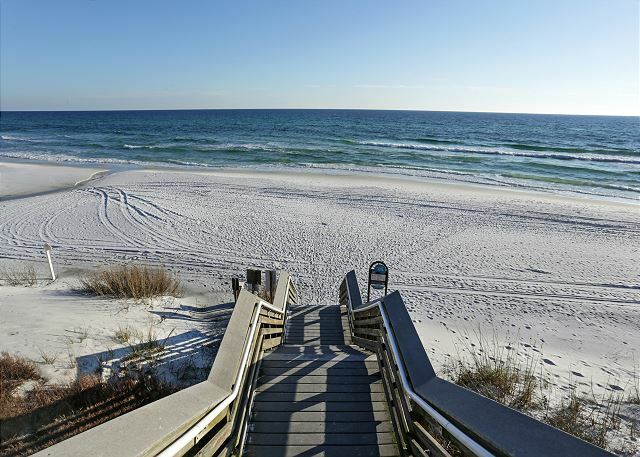 It is centrally located in the wonderful Seagrove Beach area. 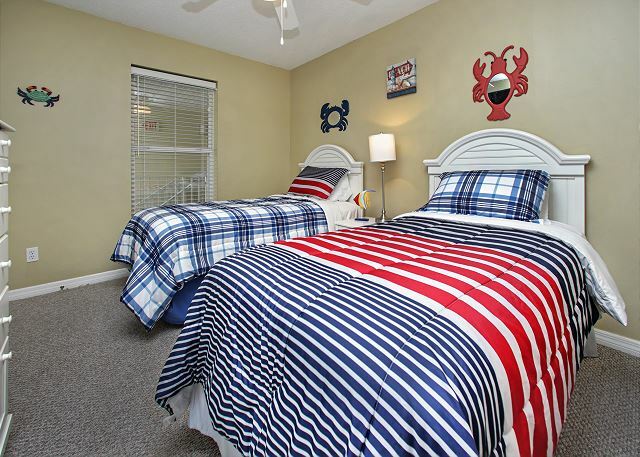 And if you would like your furry family member to enjoy a vacation with you - The Great Getaway is happy to accommodate - bring along the entire family and make some great memories!